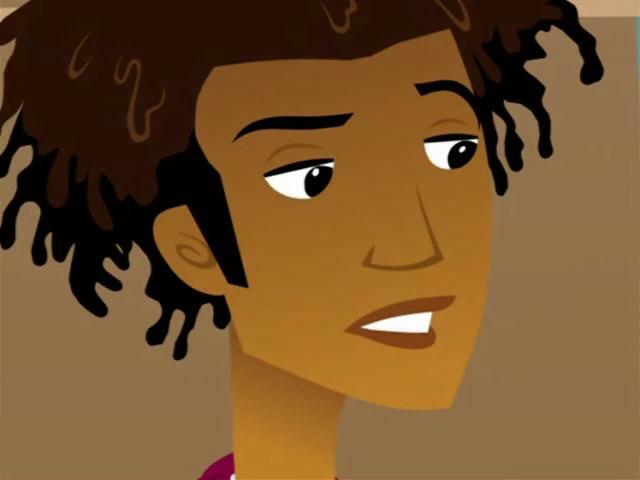 Today’s entry is about Wyatt Williams, from Teletoon’s 2000s animated series “6Teen.” The show is about a group of six friends and their hijinks at a Mall of America-sized shopping mall. A Black Canadian youth with a near-addiction to drinking coffee, Wyatt is the gang’s most mild-mannered member. As such, Wyatt is usually played as the “straight man” for his wackier cohorts’ antics. His interests include art house films, reading, and pursuing his amateur music career (as a guitarist). As a result, Wyatt sticks out compared to his male cohorts, the egoistical Jonesy and skateboarder Jude. His best friend among the gang seems to be Nikki, the most cynical member of the group. Wyatt’s gotten several recurring plot threads, including ones involving his guitar-playing and his love life. Over the course of the series, he’s been shown dating several girls. This includes one who dumped him via a text message.